The first states were mostly monarchies, as far as we can tell. They were ruled by kings or queens. The earliest monarchies that we know about are the ones in Sumer and Egypt. These both began around 3000 BC. But it was not only the early states which had kings and queens. After all there are still many countries which have kings and queens even today. Some other examples of places which were ruled by kings are Greece in the Late Bronze Age, as described in Homers’ Iliad, the Etruscan cities in northern Italy, including Rome between about 700 and 500 BC, China in the Warring States period, the Early Medieval kingdoms of Western Europe and Africa like the Visigoths, the Vandals, the Franks, Ethiopia and Mali, and the later medieval kingdoms (both Christian and Islamic) of France, England, and Spain. People often think that in ancient and medieval times only men could rule. 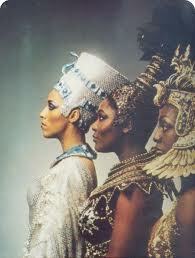 It is true that there have been many more men in power than women, but there have always been women rulers too. There were women who ruled Egypt, like Hatshepsut and Cleopatra, and women who ruled the Byzantine Empire, like Irene. There were women who ruled southern France, like Eleanor, and women who ruled Castile in Spain, like Isabelle, and women who ruled the kingdom of Kush in Africa, and the Empresses Lu and Wu Chao in China. Many other women held power without having the official title, often as regents for their sons or grandsons, like Agrippina and Julia Maesa in Rome, or Blanche of Castile in France. Throughout history, royal dynasties have dominated countries and empires around the world. Kings, queens, emperors, chiefs, pharaohs, czars -- whatever title they ruled by, monarchs have shaped institutions, rituals, and cultures in every time period and every corner of the globe. The concept of monarchy originated in prehistoric times and evolved over centuries right up to the present. Efforts to overthrow monarchies or evade their rule -- such as the American, French, Chinese, and Russian revolutions -- are considered turning points in world history. Even today, many countries retain their monarchies, although in vastly reduced form with little political power. One cannot understand human history and government without understanding monarchs and monarchies. World history proves that the civilization of any country is built by the monarchy; It is difficult to imagine civilization growing in India without the influence of Muhgal Emperors Ashok and Akbar. Whether the Great Wall of China or the Pyramids of Egypt, Monarchy builds great things. There is no civilization living today which did not originate in the work and effort of Monarchy. Pharaohs ruled ancient Egypt over the course of three millennia (c. 3150 BCE to 31 BCE) until Egypt was absorbed by the Roman Empire. In the same time period, several kingdoms flourished in the nearby Nubia region. In the Horn of Africa, the Aksumite Empire (4th c. BCE - 1st c. BCE) and later the Ethiopian Empire (1270-1974) were ruled by a series of monarchs. Haile Selassie, the last Emperor of Ethiopia, was deposed in a coup d'état. The Kanem Empire (700-1376) was in central Africa. 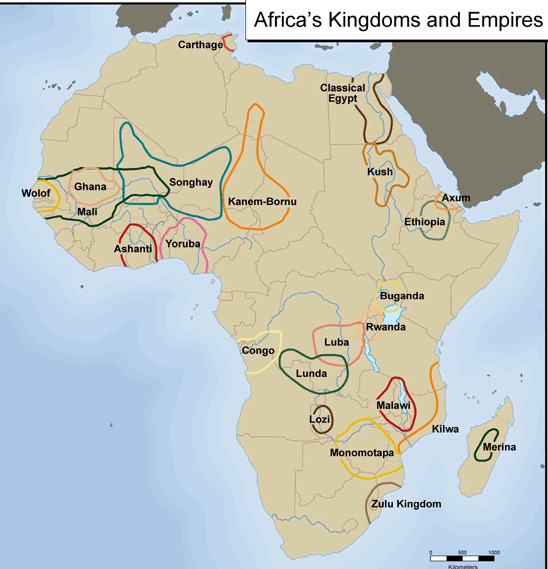 Kingdoms such as the Kingdom of Kongo (1400–1914) existed in southern Africa. Other powerful African monarchs incuded the Oba of Benin who ruled over the Benin Empire with its capital at Benin in modern day Nigera (unrelated to the modern day country of the Republic of Benin). The oba, (meaning king or ruler in the Yoruba language), at Oyo who had the title, Alaafin of Oyo, once lead the famous Yoruba Oyo empire. During the reign of Igbo born Jaja of Opobo, Opobo was a small but wealthy African kingdom, being one of the most lucrative palm oil centers of trade. 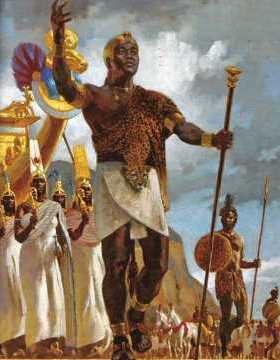 Europeans conquered, bought, or established African kingdoms and styled themselves as a monarch. Ancient Egypt was an ancient civilization of eastern North Africa, concentrated along the lower reaches of the Nile River in what is now the modern country of Egypt. The civilization coalesced around 3150 BC with the political unification of Upper and Lower Egypt under the first pharaoh, and it developed over the next three millennia. Its history occurred in a series of stable Kingdoms, separated by periods of relative instability known as Intermediate Periods. Ancient Egypt reached its pinnacle during the New Kingdom, after which it entered a period of slow decline. Egypt was conquered by a succession of foreign powers in this late period. The rule of the pharaohs officially ended in 31 BC when Egypt fell to the Roman Empire and became a Roman province. The term pharaoh, pr-aA - lit. great house, in the sense of palace, goes back to the Old Kingdom. As part of the royal titular it came into use only in the early first millennium BCE, in monumental inscriptions possibly as late as the reign of Sheshong III. 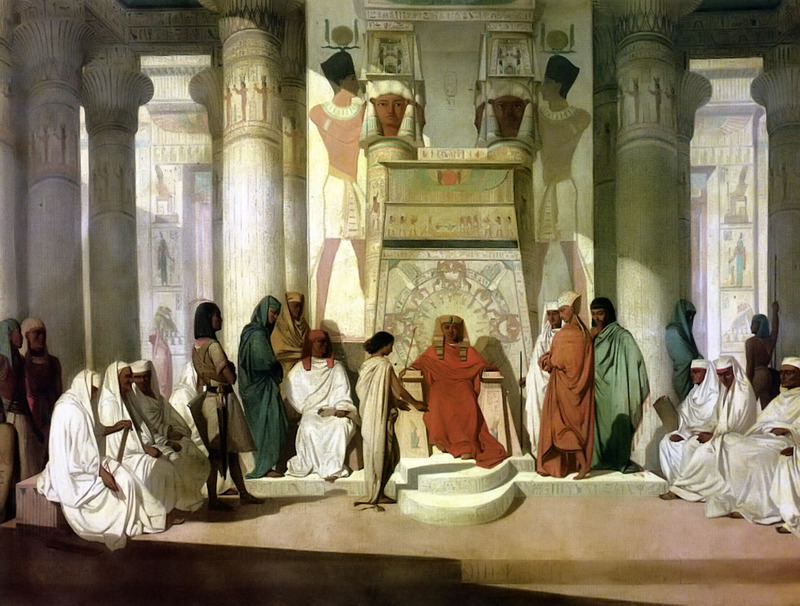 Ideally, for most of Egyptian history, one should not refer to the king as pharaoh, but as the kingship remained basically unchanged for millennia until the advent of Christianity and the abandonment of the traditional world view, referring to this intrinsically Egyptian institution as pharaonic is reasonable, even if at times anachronistic. 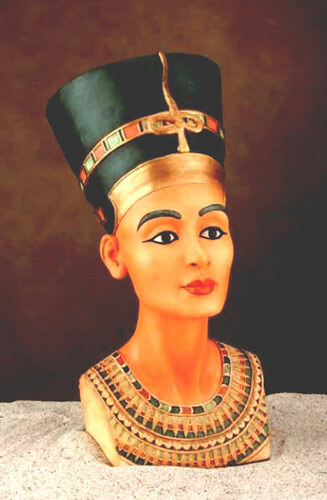 A Pharaoh was the Ancient Egyptian equivalent of a king (although Queen Nefertiti became the first female Pharaoh). 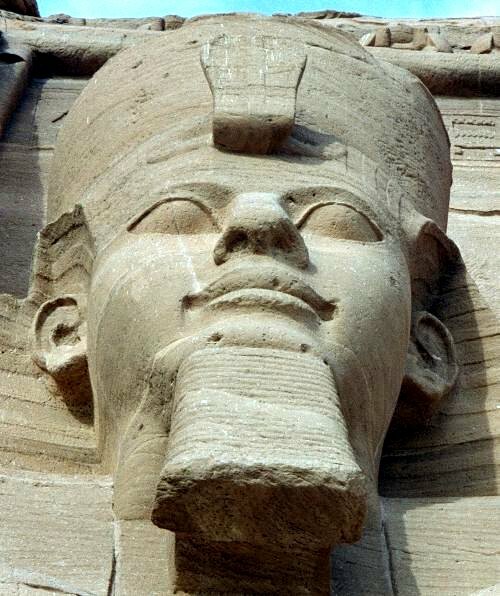 Pharaohs were considered to be Gods in human form, so people respected, obeyed and feared them. They had much more power over the land that the queen has over England today, and what they said had to be done. According to tradition, incestuous marriages between the pharaohs and their sisters were common. If this was the case, it could have been done to emulate the god Osiris and his sister/wife the goddess Isis and/or to keep the sacred bloodline pure. On the other hand, the historical record for a lot of Egyptian antiquity is spotty and open to interpretation; some would argue that this tradition is based on a modern misreading of inscriptions while others claim that brother-sister unions were usually symbolic and that other concubines were the mothers of the pharaohs' offspring. 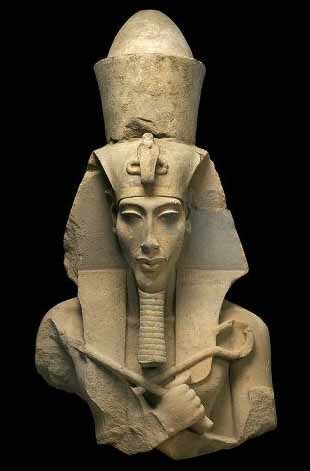 Akhenaton The Creator of Monotheism (1375-1358 B.C). Akhenaton was the first ruler in recorded history to believe in the concept of One God. He also taught this concept to all his citizens. He built a new city in the desert that was dedicated to religion, art and music. This new city, Akhenaton (now Tell el Amara), with its lush gardens and magnificent buildings is where Akhenaton and his wife Queen Nefertiti changed Kemet's culture so radically that their influence is felt for centuries right up until today. 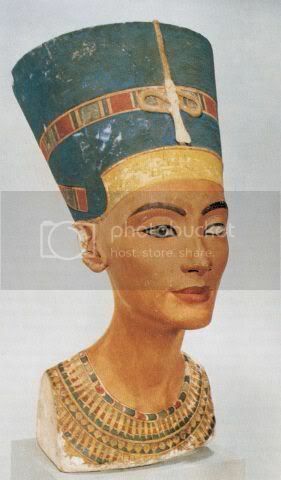 Akhenaton was also the first Pharaoh of whom a true likeness is recorded as shown in the picture below. Tutankhaten became pharoah after the death of Smenkhkare, and became one of history's most famous royalty. Tutankhaten's story has since come out, and we know more about this boy-king than we do about any other person in the Kemartic period. Tutankhaten became pharoah at the age of nine. He married Ankhesenpaaten and ruled from Akhetaten. Four years after he became king, Tutankhaten moved his capital back to Memphis, and changed his name to Tutankamun, in honor of the God Amun. Tutankamun, ruled for nine years, until he was 18. The mummy discovered in the Valley of the Kings has an injury to the skull, and it is believed that Tutankamun was either the victim of an accident or he was assassinated. 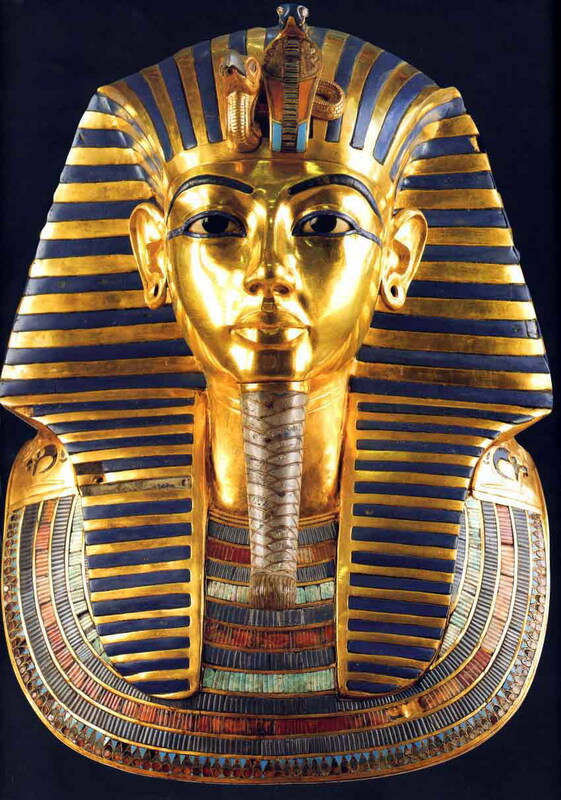 His tomb is one of very few that have been discovered almost untouched by thieves. The ancient region of Nubia was located in northeast Africa, in what is now southern Egypt and northern Sudan. 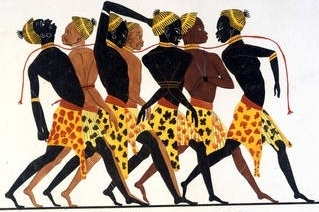 The first group of Nubian people that we know much about, called the A-Group by archaeologists, lived around 3500 BC, but there is evidence of civilization in Nubia as far back as 8000 BC. Because Nubians were great archers, the Egyptians called Nubia "Ta-Seti," or Land of the Bow. The name Nubia came into use in the Middle Ages. Although it was a hot, dry land, ancient Nubia was a treasure trove of gold, ivory, stone, and other riches, and therefore a tempting target to foreign rulers. At times Egypt ruled Nubia; at other times, various Nubian kingdoms flourished. The great kingdom of Kush (or Cush) was located in south Nubia. The ancient Greeks called it Ethiopia. In the 8th century BC, Kush -- led by King Piankhi (or Piye) and later his brother and successor King Shabaka -- conquered Egypt. These Kushite kings founded Egypt's 25th ruling dynasty. 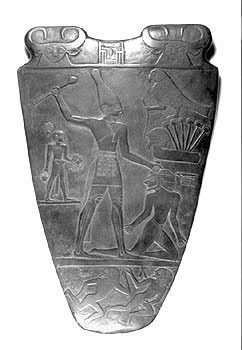 After Shabaka died, Piankhi's son Shebitku became pharaoh; he was succeeded by his brother Taharqa. But the Nubian Dynasty's reign in Egypt proved to be short-lived. In the middle of the 7th century BC, Taharqa was driven out of Egypt by the Assyrians. He and his cousin Tanutamon, who succeeded Taharqa as king of Kush, tried but failed to regain the Egyptian throne. Around 592 BC, Egypt sacked Kush's capital, Napata. After that, the city of Meroe became the capital of Kush. The kingdom lasted for some 900 years more. One notable Kushite ruler was the fierce one-eyed warrior queen Amanirenas, who battled an occupying Roman army in the first century AD. Her ambassadors were conducted into the presence of the Roman emperor Augustus Caesar, and according to the Roman writer Strabo, they "obtained all that they desired, and Caesar even remitted the tribute which he had imposed." Queen Amanirenas had won; the Romans withdrew from most of Nubia. It seems Kush gradually went into decline, and crumbled completely after the armies of Aksum (a kingdom of ancient Ethiopia) conquered Meroe around 350 AD. New kingdoms arose in Nubia, and these kingdoms started converting to Christianity in the 6th century AD. Around 1400, Nubia began falling under the control of Arab rulers, and many Nubians converted to Islam. But much of Nubian culture has survived through the centuries, and the Nubian language is still spoken today in Egypt and Sudan. As part of the Scramble for Africa, Europeans conquered, bought, or established African kingdoms and styled themselves as monarchs. Currently the African nations of Morocco, Lesotho and Swaziland are sovereign monarchies under dynasties that are native to the continent. Places like St. Helena, Ceuta, Melilla and the Canary Islands are ruled by the Queen of the United Kingdom of Great Britain and Northern Ireland and the King of Spain, while so-called sub-national monarchies of varying sizes can be found all over the rest of the continent e.g. the Yoruba city-state of Akure in south-western Nigeria is something of an elective monarchy, with its reigning Oba having to be chosen by an electoral college of nobles from amongst a finite collection of royal princes and princesses of the realm. West Africa hosted the Kanem Empire (700 - 1376) and its successor, the Bornu principality which survives to the present day as a part of the Federation of Nigeria. In East Africa, the Aksumite Empire and later the Ethiopian Empire (1270-1974) were ruled by a series of monarchs. Haile Selassie, the last Emperor of Ethiopia, was deposed in a communistcoup. As part of the Scramble for Africa, Europeans conquered, bought, or established African kingdoms and styled themselves as monarchs. Currently the African nations of Morocco, Lesotho and Swaziland are sovereign monarchies under dynasties that are native to the continent. Places like St. Helena, Ceuta, Melilla and the Canary Islands are ruled by the Queen of the United Kingdom of Great Britain and Northern Ireland and the King of Spain, while so-called sub-national monarchies of varying sizes can be found all over the rest of the continent e.g. the Yoruba city-state of Akure in south-western Nigeria is something of an elective monarchy, with its reigning Oba having to be chosen by an electoral college of nobles from amongst a finite collection of royal princes and princesses of the realm. Prince was a common title within the Holy Roman Empire, along with a number of higher titles listed below. Such titles were granted by the Emperor, while the titulation of rulers of sovereign states was generally left to their own discretion, most often choosing King or Queen. Such titulations could cause diplomatic problems, and especially the elevation to Emperor or Empress was seen as an offensive action. During the nineteenth and twentieth centuries smallest monarchies in Europe disappeared, merging to form larger entities, and so King the most common title for male rulers and Queen has become the most common title today for female rulers. Some medieval rulers, such as the Holy Roman Emperor (the temporal (earthly) protector of the pope), were elected but most monarchies were hereditary. 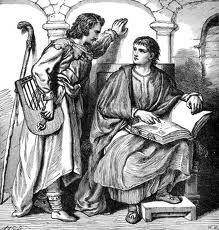 As early as the 7th century AD, the Anglo-Saxon kings of England claimed the divine right of kings – that they were appointed by God and were accountable only to God. Monarchs were anointed in the coronation service, which declared their sovereignty over their subjects; in theory, to disobey the crown was, therefore, to disobey God. A document from the reign of Henry II of England (reigned 1154–89), called the Dialogue of the Exchequer, stated that nobody could withstand a royal decree. To this theocratic (God-given) authority, the English monarchy added its feudal authority under the feudal system. The Domesday Book, a survey of England undertaken in 1086, made it clear that the king owned all the land in England. All the Anglo-Norman barons took a personal oath of allegiance to the crown, and held their land as vassals. After World War One ended in 1918, the Russian, German, Austro-Hungarian and Ottoman Turkish crown ceased to exist. The “Iron Curtain” which came down across Europe after 1945 turned several Balkan kingdoms into Russian communist satellites. The result was banishment and exile for their kings. An early victim was King Peter II of Yugoslavia who was deprived of his throne on Nov- ember 29. 1945, when the Communist guerrilla leader Josip Broz, better known as Marshal Tito, formally abolished the monarchy. King Peter never recovered from the shock, which overshadowed the rest of his life. He went to the United States where he died at the age of 47 in 1970. Another Balkan monarch, King Simeon II of Bulgaria, proved much more resilient and enterprising. Simeon was nine years old in 1946, when the communist People’s Republic of Bulgaria abolished the monarchy and forced the child-king and his family into exile, first in Egypt, later in Spain. 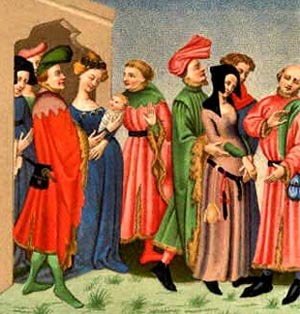 Simeon put his years in exile to positive use. He obtained a degree in law and political science and graduated from the prestigious Valley Forge Military Academy in the United States. Then, after fifty-five years in exile, he re-emerged in Bulgaria in a new guise, as Simeon Saxe-Coburg Gotha, political leader and head of the National Movement which won a landslide victory in parliamentary elections on June 17, 2001. King Victor Emmanuel III of Italy was similarly forced off his throne. In 1946, after World War Two, Victor Emmanuel was obliged to abdicate. Later on that year, the Italians voted to abolish the monarchy and replace it with a republic. Victor Emmanuel died in his Egyptian exile in 1947. The Greek royal family had already been directly affected by the volatile nature of the kingdom which had long ago proved to be the graveyard of kings. The Greek monarchy was abolished twice. Three of its kings were forced to abdicate, one of them on two occasions. The final coup de grace came in 1967 when Greece succumbed to a military coup. A junta of fascist colonels, led by George Papadopoulos, seized power and exiled the king, Constantine II. Constantine who had tried, but failed, to head off the coup, remained titular king of Greece until 1973 when the junta formally declared the monarchy at an end and proclaimed a republic. The following year, the junta collapsed and democratic government was restored, but not the monarchy. In a plebiscite, the Greeks voted against it and for King Constantine and his family, their exile in London became permanent. In China, "king" is the usual translation for the term wang (王), the sovereign before the Qin dynasty and during the Ten Kingdoms period. During the early Han dynasty, China had a number of small kingdoms, each about the size of a county and subordinate to the Emperor of China. The Japanese monarchy is now the only monarchy to still use the title of Emperor. Monarchs, as a consequence, have come to seem as obsolete as court jesters or princesses in towers. For nine out of 10 people in the world, royalty is the stuff of fairy tales. Venerated partly through tradition and the law, but mainly for the way they are perceived to have dedicated themselves to improving the lives of the Thai people, it can be hard for foreigners to comprehend the relationship between the monarchy and the common people. 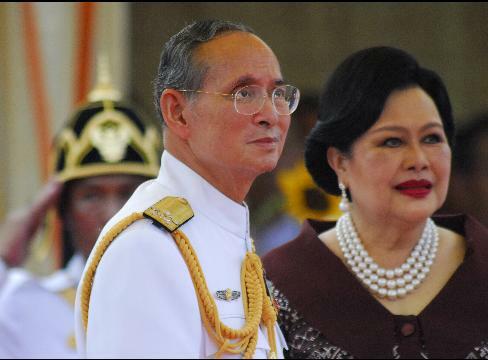 King Bhumibol Adulyadej- the longest reigning monarch in the world - and his wife Queen Sirikit stand out as extraordinary exceptions. Held in overwhelming affection by the vast majority of Thai citizens, they are viewed as symbols of national identity every bit as much as the flag or national anthem and pictures of the King and Queen adorn almost home and office building. They've travelled extensively to the remotest and most deprived parts of Thailand to find out and listen to the concerns of the rural poor and then endeavor to provide practical solutions. Despite having royal photographers, the King often takes photos himself to document what he finds and is frequently seen in royal photos with a camera around his neck. The results are impressive - the King personally holds patents on a artificial rain making techniques for instance, and there's a long list ist of royal initiated projects to improve agriculture and farming conditions, education and health. The King is now nearly 80. (Year 2010). Monarchies existed among the indigenous peoples of the Americas long before the European colonization. Pre-Columbian titles used in the New World included Cacique (in Hispaniola and Puerto Rico) Tlatoani (Nahuatl term for the ruler of an altepetl, Aztec polity), Ajaw (Maya), Sapa Inca (Inca Empire), Morubixaba (Old Tupi for "chief"). When the Europeans arrived they referred to these tracts of land within territories of different aboriginal groups to be kingdoms, and the leaders of these groups were often referred to by the Europeans as Kings, particularly hereditary leaders. Many of the leaders were queens, but this was not understood by the Europeans, who had no knowledge of the indigenous history or languages, much less an understanding of matrilineality. Independent monarchs also emerged. 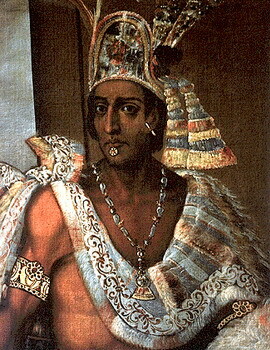 Augustin I declared himself Emperor of Mexico in 1822, after colonization. 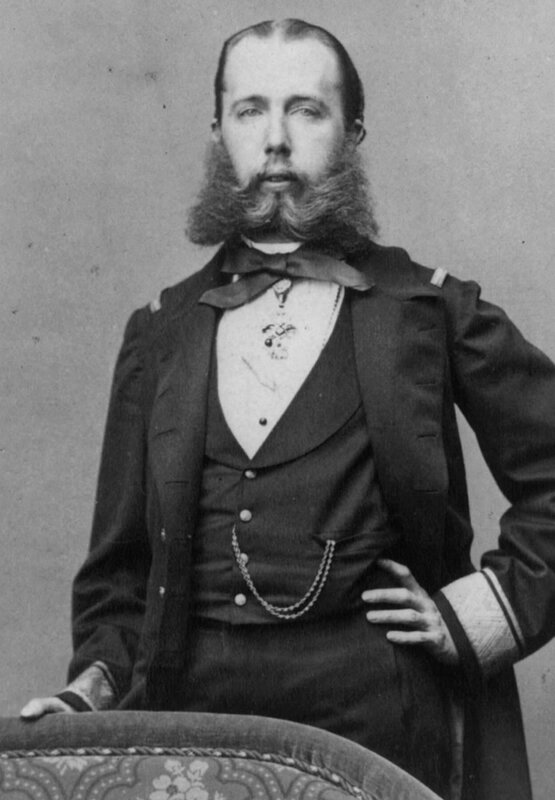 Maximilian I ruled as Mexican emperor from 1863 to 1867. Two members of the House of Braganza, Pedro I and Pedro II, ruled Brazil as emperors from 1822 to 1889. These American emperors were deposed due to complex issues, including pressure from the highly republican United States, which had declared itself independent of the British monarch in 1776. The British, worried about U.S. colonial expansion, invasion following the American Civil War, and the fact that the U.S. had aided the Mexican republican rebels in overthrowing Maximilian I, pushed for the union of the Canadian provinces into a country in 1867. With Confederation, Canada became a self-governing nation which was considered a kingdom in its own right, though it remained subordinate to the United Kingdom; thus, Victoria was monarch of Canada, but not sovereign of it. It was not until the passing of the Statute of Westminster that Canada was considered to be under a distinct Canadian Crown, separate to that the British, and not until 1953 that the Canadian monarch, at the time Elizabeth II, was titled by Canadian law as Queen of Canada. By the 18th century, absolute monarchy changed into the enlightened despotism of rulers such as Frederick (II) the Great of Prussia (reigned 1740–86) and Catherine (II) the Great of Russia (reigned 1762–96), but rule by one person failed to meet the needs of the modern world. The French Revolution destroyed absolute monarchy in France, and World War I led to the collapse of the royal families of Russia, Germany, and Austria-Hungary. The Manchu dynasty fell in China in 1912, and the emperors of Japan abandoned divine rule after World War II. There are twelve monarchies in Europe today; ten of these are states whose head of state (a monarch) inherits his or her office, and usually keeps it for life or until they abdicate. The head of state in the State of the Vatican City, the pope, is elected at the papal conclave. The joint heads of state of Andorra are the elected President of France and the appointed Bishop of Urgell. At the dawn of the 20th century, France, Switzerland and San Marino were the only European nations to have a republican form of government.The ascent of republicanism to the political mainstream started only at the beginning of the 20th century, facilitated by the toppling of various European monarchies through war or revolution; as at the beginning of the 21st century, most of the states in Europe are republics with either a directly or indirectly elected head of state. Europe's monarchies are: the Principality of Andorra (technically a semi-elective diarchy), the Kingdom of Belgium, the Kingdom of Denmark, the Principality of Liechtenstein, the Grand Duchy of Luxembourg, the Principality of Monaco, the Kingdom of the Netherlands, the Kingdom of Norway, the Kingdom of Spain, the Kingdom of Sweden, the United Kingdom of Great Britain and Northern Ireland and the State of the Vatican City (elective monarchy, styled a theocracy). Most of the monarchies in Europe are constitutional monarchies, which means that the monarch does not influence the politics of the state: either the monarch is legally prohibited from doing so, or the monarch does not utilize the political powers vested in the office by convention. The exceptions are Liechtenstein, which is usually considered a semi-constitutional monarchy due to the large influence the prince still has on politics, and the Vatican City, which is a theocratic absolute elective monarchy. There is currently no major campaign to abolish the monarchy in any of the twelve states, although there is a significant minority of republicans in many of them (e. g. the political organization Republic in the United Kingdom). Currently seven of the twelve monarchies are members of the European Union: Belgium, Denmark, Luxembourg, the Netherlands, Spain, Sweden and the United Kingdom. 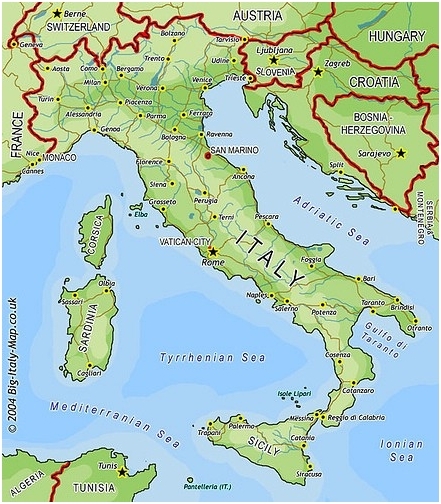 Until the 19th century, the peninsula we now call Italy was made up of many city-states. These independent nations exist under successions of various invading empires of the French, Turks, Germans, Austrians and Spanish. The individual states, although sharing a small geographical space, were each culturally unique. They spoke separate dialects, worshiped in different churches and had unique attitudes. The cultural movement of the 16th and 17th centuries created a sense of nationalism within the future Italy for the first time. In 1796, Napoleon, the Emperor of France, began his invasion of Italy and eventually liberated the city-states from the various foreign rulers. He politically unified them into the Kingdom of Italy, over which he proclaimed himself king. It is interesting to note that Napoleon was born Napoleone Buonaparte and later changed his name to the French Bonaparte, so he was actually Italian, not French. During his rule, Napoleon created Italy’s first centralized administrative, judicial and civil code. The feudalism that characterized prior centuries was virtually eliminated. The civil vital records for most regions began in 1809, during the Napoleonic era so we have Napoleon to thank for the many records we are able to discover today. After Napoleon’s fall, Italy reverted to its reunification city-states and the European monarchs redrew their old boundaries. The north was ruled by the Austrian empire, the central region consisted of the Papal States and the south was ruled by Spain. Secret underground societies developed to encourage a free Italy. In the mid-1800s a movement called il Risorgimento (the resurrection) inspired a new Italy. During this political active decade between 1860 and 1870, il Risorgimento incited Victor Emmanuel II to unite the individual kingdoms into a single empire. By 1870, Italy as we know it was born. This last major unification of Italy is important to genealogists because it played a major role in a sweeping emigration from Italy. While unification was suppose to have brought about better conditions, it was indirectly responsible for this massive emigration. Within a decade, massive deforestation had occurred in southern Italy. Top soil which was poor to begin with, was washed away by heavy rains. Raising crops was difficult in this environment. Malaria epidemics were very common. Hundreds of thousands of people died and many others were left too ill to work and support themselves. These conditions prompted the southern Italians to seek a better life in the Americas.